Treat three to five companions to an evening of supernatural mystery, complete with full color illustrations and eerie sound effects. In this stand-alone adventure, players must survive the night aboard a drifting cruise ship and discover their own identities. Crafted by Mythcreants’ own Oren Ashkenazi and tested by dozens of volunteers, The Voyage provides an unforgettable experience unique to each group that plays it. The Voyage is a downloadable, one-shot module for three to five players and one GM. The story begins as the PCs wake up aboard a sea vessel, their memories lost. An eerie voice fades to silence, a dead body rests on the floor, and one of them holds a smoking gun. Can they sort out the tangled web of magic and mystery, or will they become the next victims of a strange presence on the ship? Players are given blank character sheets; they must discover their skills through experimentation. Can they repair engines or decode arcane text? They’ll know once they roll. By exploring the darkened corridors of the SS Argo, players discover their interconnected histories and encounter challenging threats. Rather than scripting a series of fixed encounters, The Voyage provides a framework for the GM and players to use. Every game of The Voyage is different. Will the PCs split up or stick together? Will they work as a well oiled machine or fight among themselves? Your group will answer these questions as the clock ticks toward their doom. Do you have questions about this product? Contact us. The Voyage is a fun and interesting take on a murder mystery adventure. The journey of discovering who you are, and who your fellow players are, creates exciting, different dynamics with each group that plays it. With the beautiful illustrations and the eerie music and sounds, the ship and its dwellers really come to life and make for a thrilling story and game. If you think a night of murder mystery mayhem and cosmic horror sounds entertaining, don’t hesitate to buy this. I got to play test the game, and it was an absolute blast. This module supplies an excellent source of suspense and excitement. I had the opportunity to play test it twice, once as a player, another as the game master, no two games are the same. Seeing how different groups of players deal with not knowing who they are is a uniquely enjoyable experience this game provides. Cannot recommend enough, easily worth the money. Running this adventure is both fun and easy. It requires almost no prep, has lots of guidance without railroading the group, and the visual aides and sound effects make it one of the most immersive pre-made one shots I’ve had the pleasure to GM. 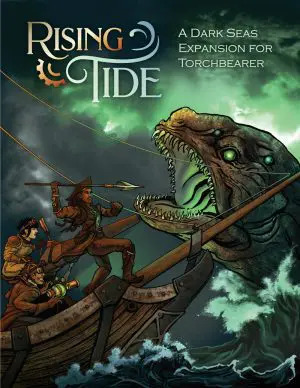 The Voyage provides an instant night of fun roleplaying without all that hassle of everyone trying to roll up a new character and figure out their place in the world. The only person who has to prep at all is the Game Master and everyone else can just jump right in to the fun! I was still rather new to roleplaying games when I got the chance to play test this, and it was a great way to start! Beginners won’t get overwhelmed or scared off by complicated character creation, yet experienced role players will also enjoy unraveling the mystery of their true identity. It is the perfect murder mystery for players of all levels! 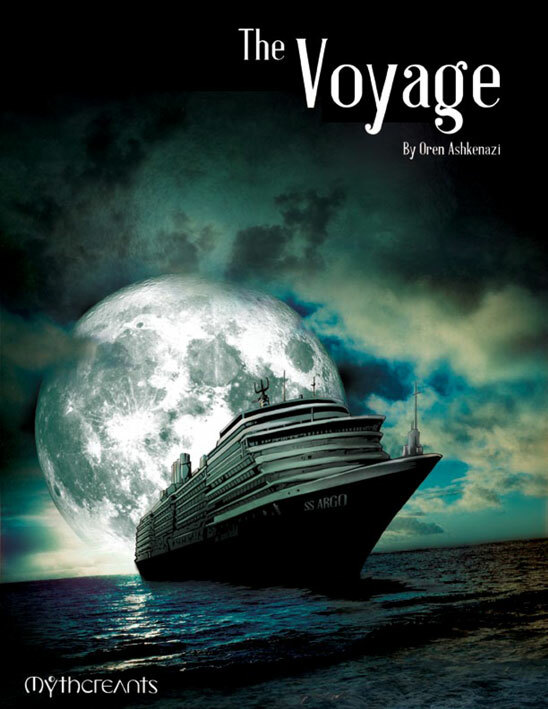 The Voyage has what makes the best procedurals and murder mysteries so fun: rich characters that play off each other to create a dynamic mix of interpersonal drama and situational comedy. Full disclosure, I was a playtester. And I’d highly recommend this for anyone interested in a good one-shot, regardless of what systems your used to or even if your a newcomer to roleplaying games. Murder on the high seas, Lovecraftian spookiness, and a solid cast of characters – you can’t go wrong! I ran this game as a relatively inexperienced GM with my family recently, and we had a blast! The game was easy to learn (especially for the PCs, since there was no confusing character creation to deal with), and easy to run. Overall, a really fun and eerie one-shot! What a great one shot, one nighter! I’ve been an RP gamers for nearly 30 years now and played many different types of settings, this has been one of the most remarkable!! Easy to learn and run, I highly recommend this to anyone looking for a change.